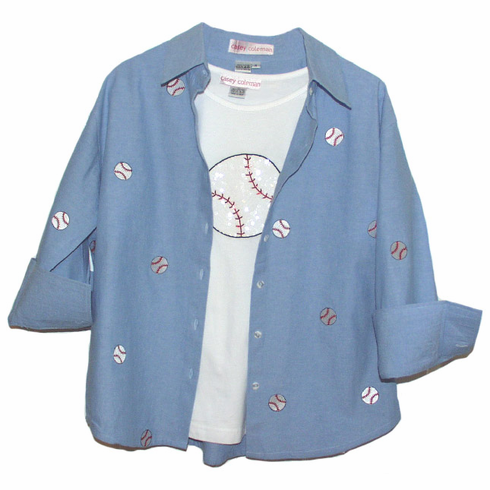 This women's baseball collection by Casey Coleman is perfect for any woman to show off her baseball pride. The short sleeve white tee features a baseball on the front made of sequins. The 3/4 sleeve and long sleeve shirts feature embroidered baseballs all over, including the back. Check the drop down menu - each piece is sold separately. All pieces are 100% cotton, very limited quantities.